Acupuncture has been used for centuries to promote the body’s natural self-healing process. At SW Massage and Wellness Centre we are pleased to offer South Calgary Acupuncture — an ancient form of Chinese Medicine used to help our patients restore their well-being. 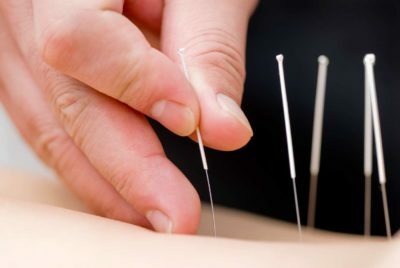 Tiny needles are used to stimulate specific points found throughout your body; acupuncture works by releasing the body’s blocked energy (Qi), allowing the natural flow and rhythm of this energy to return. When your energy Qi is not balanced, your well-being is often affected. Factors such as disease, stress, anxiety, fear, poor nutrition, infections or injury all contributed to the disturbance of your energy flow. For us to re-balance your energy, tiny acupuncture needles are placed in specific areas along these meridians to stimulate your nervous system, improve your circulation, and to re-establish your body’s natural and balanced energy flow. What Ailments Benefit from Acupuncture Treatment? Acupuncture treatment is a very comfortable experience. We create a relaxing environment for you to rest while the acupuncture needles remain in place between five and 30 minutes. Many patients have expressed they feel very relaxed and calm both during and after their appointment! What Happens During My First Acupuncture Appointment? During your first appointment for Acupuncture at SW Massage and Wellness Centre, we will recommend a treatment plan that will best address your particular needs based on the information we collect during your detailed assessment. No two patients receive the same treatment plan, and we take pride in providing our patients with individualized care and attention. If you are interested in learning more about our South Calgary Acupuncture services, we invite you to contact our South Calgary Acupuncture clinic! Call Us Today — (403) 931-4829.